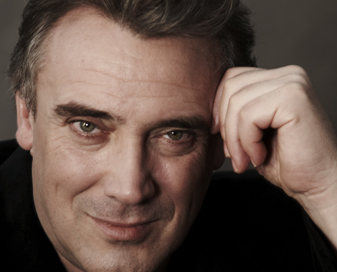 Jaime Martín has risen quickly to international acclaim as a conductor following his prominent career as a flautist. In 2013 he became Artistic Director and Principal Conductor of Gävle Symphony Orchestra and he is also Chief Conductor of the Orquestra de Cadaqués and Artistic Director of the Santander International Festival. As a guest conductor Martín has worked extensively with orchestras throughout the UK and Ireland, including the London Philharmonic Orchestra, Philharmonia Orchestra, Royal Scottish National Orchestra, Academy of St. Martin in the Fields, London Mozart Players, BBC Symphony Orchestra, the Ulster Orchestra and RTE Orchestra. He has also conducted the Orchestre Philharmonique de Radio France, Royal Liverpool Philharmonic Orchestra, Swedish Radio Symphony Orchestra, Saint Paul Chamber Orchestra, New Zealand Symphony Orchestra, Queensland Symphony Orchestra, Orquestra Sinfônica do Estado de São Paulo, Lausanne Chamber Orchestra, National Orchestra Lyon, Beijing Symphony Orchestra, Winterthur Orchestra, Orquestra Sinfònica de Barcelona and the Royal Flemish Philharmonic. He made his debut at the English National Opera in February 2013 conducting Barber of Seville and returned in autumn 2014 to conduct Marriage of Figaro. Previous recordings include Schubert’s Symphony No. 9, Montsalvatge’s Petita Suite Burlesca, Halffter’s Sinfonietta and Beethoven’s Symphony No. 3 “Eroica” with the Orquestra de Cadaqués for Tritó. Solo recordings include Mozart concertos with Sir Neville Marriner, a premiere recording of the Sinfonietta Concerto for Flute and Orchestra written for him by Xavier Montsalvatge and conducted by Gianandrea Noseda, Bach works for flute, violin, and piano with Murray Perahia and the Academy of St. Martín in the Fields for Sony Classical.